Downley Community Centre is home to numerous clubs, associations and the local community library and is situated in the very centre of the village. Commercial hirers welcome at rates starting at £11 per hour. 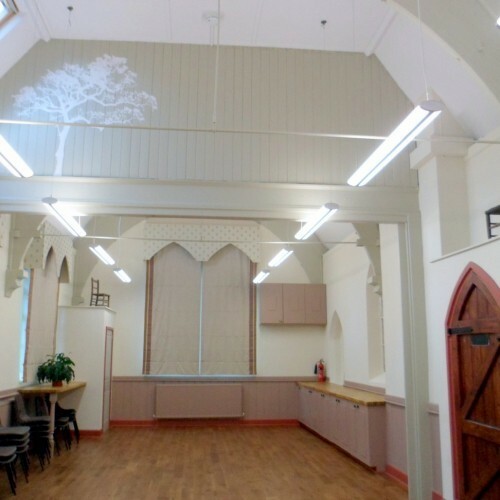 The centre comprises two large rooms totalling 190 sq metres: OAK and BEECH with wooden laminate floors. Maximum capacity approx 120, seated 100. 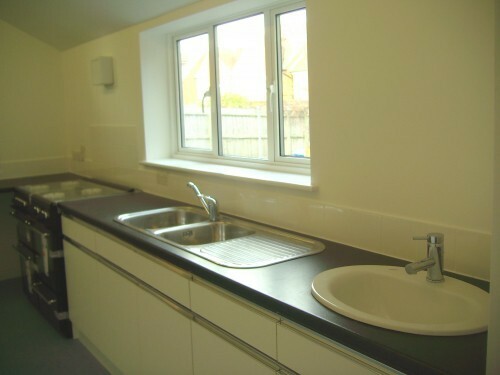 Both fitted with modern kitchenette units. February 2012:- new MAPLE meeting room capacity 6-8 seated, kitchen with cooker and fridge etc., new foyer and new toilets. Summer 2015 OAK room completely refurbished with new floor, decor including lighting,Roman blinds and new chairs. Wall mounted projector screen. 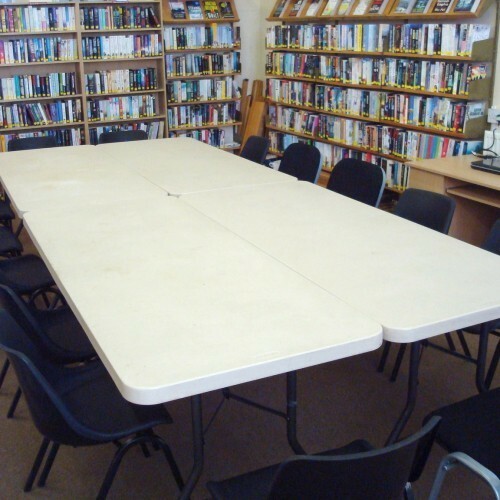 Spring 2016 - library layout for small meetings now offers seating capacity for 12-16 approx. See photo. The entire building is wheelchair friendly. Enclosed car park with up to 26 spaces front and rear. 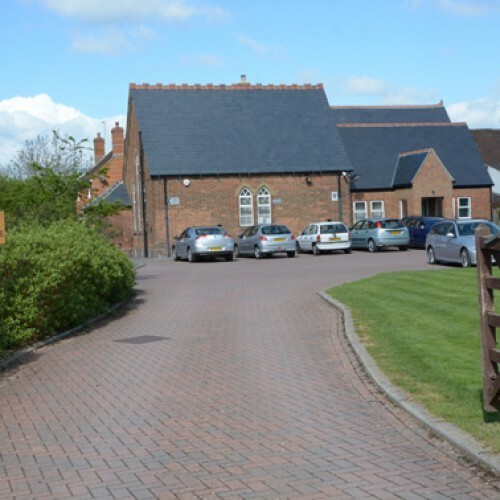 The Centre is located at the end of School Close in Downley Park and run by a group of committed volunteers who meet regularly to manage and maintain the facility on behalf of all local residents for Downley Parish Council. 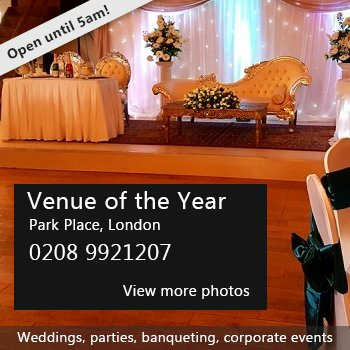 Availability: Any day up to approximately 10pm. No teenage parties! Hire Costs: on request as availabilty fluctuates. 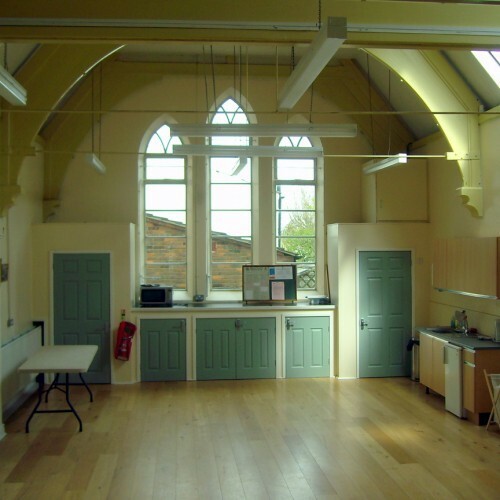 There have been 0 reviews of DOWNLEY COMMUNITY CENTRE. If you would like to send DOWNLEY COMMUNITY CENTRE a booking enquiry, please fill in the form below and click 'send'. Perhaps some of the following halls within 5 miles of DOWNLEY COMMUNITY CENTRE would also be of interest?